As the good people at Inequality.org have reminded us, today, April 2, is Equal Pay Day — the day which symbolizes how far into 2019 women have to work to earn what their male counterparts made in 2018 alone. That date comes even later in the year for Black, Native American, and Latinx women. Read more by clicking here. 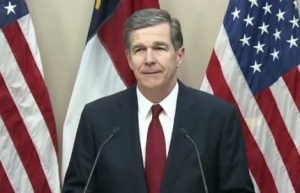 RALEIGH – To help address the gender pay gap for women workers in North Carolina, Governor Roy Cooper today signed Executive Order No. 93. The order directs state government agencies to ban the use of salary history in the hiring process. Women in North Carolina and across the country continue to earn less than men. While median earnings for men in North Carolina are $45,000, women in our state earn just $36,400, putting women’s pay in North Carolina at 32nd in the nation. The wage gap is even wider for women of color. For example, Hispanic women who work full time throughout the year earn 51 percent less than white male workers. If current trends continue, working women in North Carolina would not see equal pay until 2060, and women of color would wait even longer. With women historically earning less on average than men, requiring job applicants to report salary history can perpetuate gender pay inequities, hurting families, employers and our economy. Banning the use of salary history during the hiring process can help close the gender pay gap for women and help families become more economically secure. The Executive Order prohibits state agencies under the purview of the Governor’s Office from requesting salary history from job applicants and directs them to avoid relying on previously obtained salary history information to determine an applicant’s salary. Executive Order No. 93 also directs the North Carolina Office of State Human Resources to remove employment salary history fields from state employment applications as soon as possible. As state employee salary history is a public record, the Executive Order mandates that the Office of State Human Resources work to ensure previous salary information is not used in a discriminatory way. Executive Order No. 93 builds on Gov. Cooper’s NC Job Ready initiative, an effort to build and strengthen North Carolina’s workforce. The order is also the latest in a series of efforts to promote inclusive work environments through Executive Order No. 24, which prohibits workplace discrimination. The order is available online HERE. For a fact sheet on Executive Order No. 93, click HERE. Each year, Equal Pay Day illustrates how far into a new year on average women must work to earn men’s wages from the previous year. This year, national Equal Pay Day for All Women is on April 2, 2019, representing the average days women across all demographic groups must work to earn men’s wages. Equal Pay Days for women of color are held later in the year, as women of color must work even longer to earn men’s average wages from the previous year. African-American women’s Equal Pay Day is on August 22, 2019, Native American women’s Equal Pay Day is on September 23, 2019 and Equal Pay Day for Hispanic women on November 20, 2019.